In order to help you find your answers regarding using Wise Registry Cleaner in a more efficient way, starting from today, all the most frequently asked questions and their answers will be assembled here under this post. 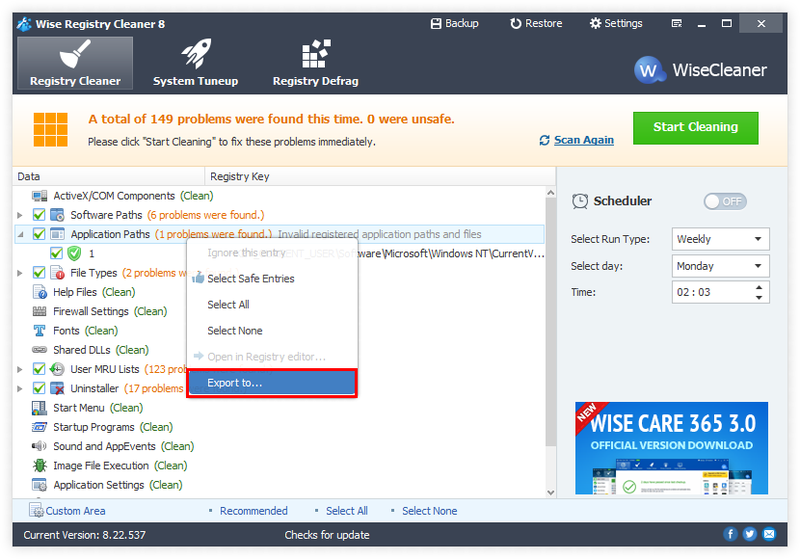 Unlimited topics will be added here until… Wise Registry Cleaner is perfect and users are all familiar with it. 1. What is the registry? 2. Why do I need to clean the registry? 3. Why does it take so long to backup the registry when I click the backup button? 4. Why doesn't Wise Registry Cleaner check all empty registry keys? 5. How to customize scanning items? 8. Where is my registry backup file? Because when you install an application, new registry entries will be created. These entries should automatically be deleted when you uninstall the application. Unfortunately, it does not always work that way. Sometimes, you will find that some applications fail to remove their own registry entries. These entries then become obsolete. Why does it take so long to backup the registry when I click the backup button? 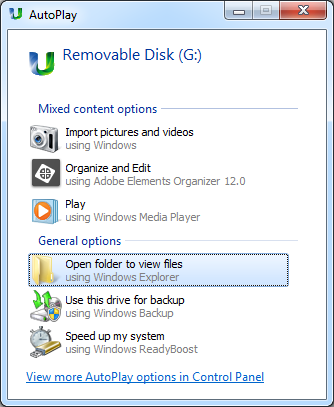 When you click the "Backup" button, a full backup file of registry will be created. Because this is a backup of your entire registry, the longer of the using time and more procedure installed in system, the more time it will take to back up the registry. Why doesn't Wise Registry Cleaner check all empty registry keys? How to customize scanning items? If you want to scan/clean a part of items, you can customize it. 4, Click "OK" to save settings. Wise Registry Cleaner supports export feature, you use it to export the scanning record. 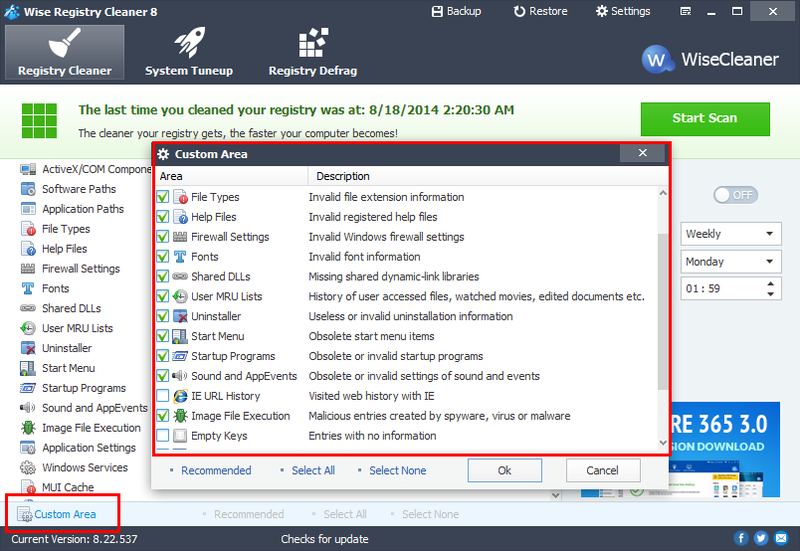 Wise Registry Cleaner has two modes to back up registry – auto and manual. 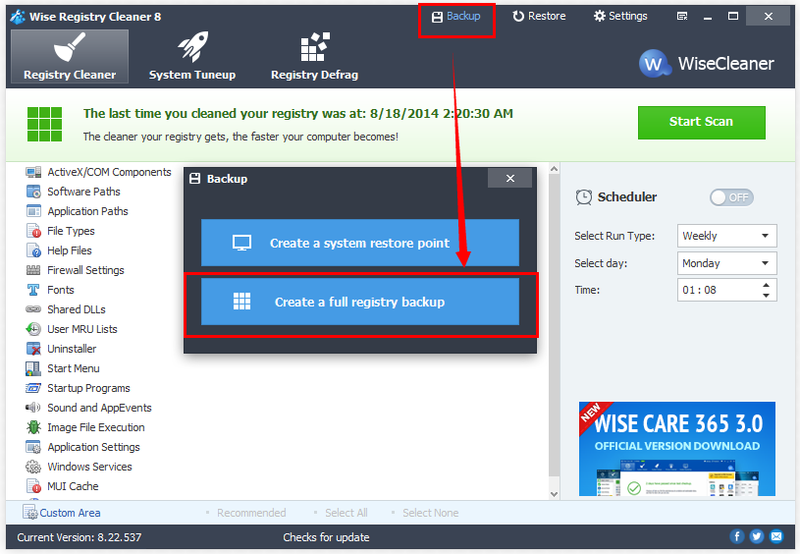 Every time you run wise registry cleaner to clean registry, it will automatically backup the registry items which will be deleted. It is a default settings. You can change it in Settings. But we recommend, do not change this setting. 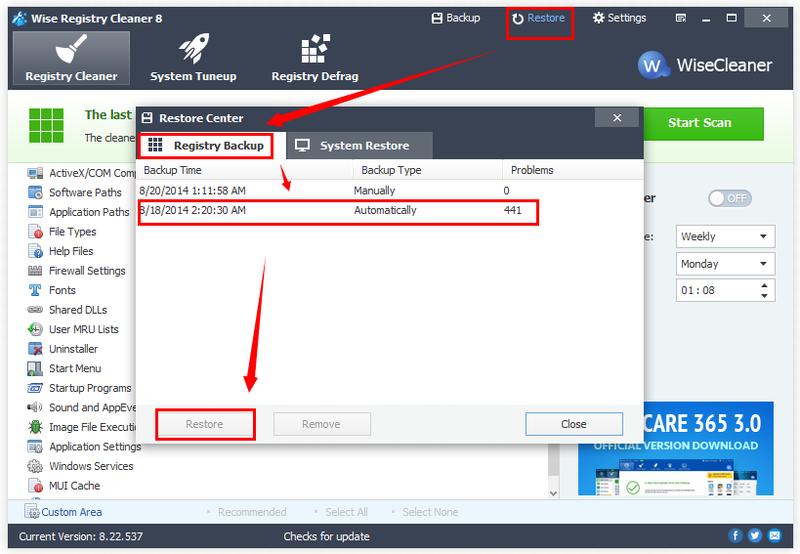 You can create a full registry backup manually. Where is my registry backup file? 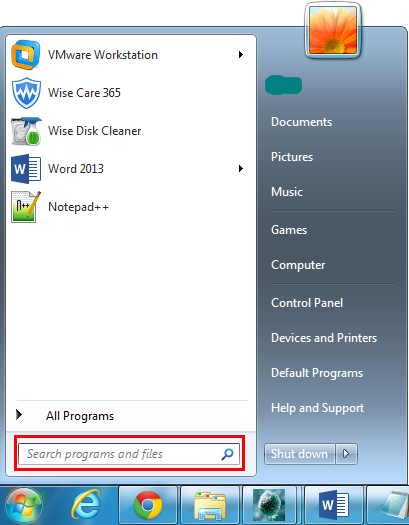 How to uninstall a WiseCleaner program? User: why no uninstall program on Start menu? 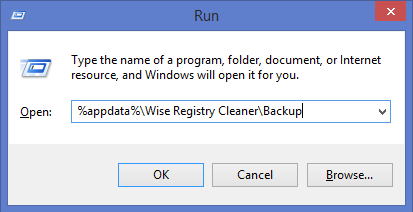 Wise: Because we don’t want you to uninstall wise cleaner. 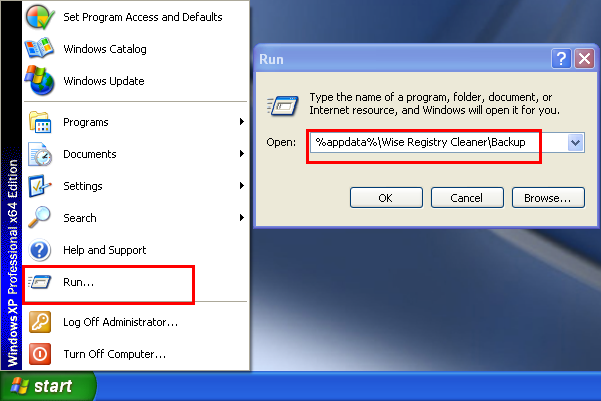 If you don’t know, you can right click on Wise Registry Cleaner desktop icon, click Open file location to open installation directory. 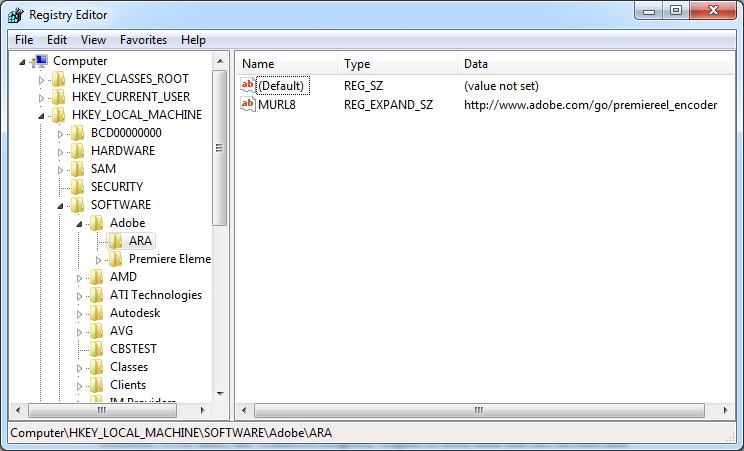 Second, find out the program 'unins000.exe' and run it. It will remove wise registry cleaner automatically. You can use Control Panel to uninstall any programs installed on the system. Run wise program uninstaller, find out wise registry cleaner, and then click Safe Uninstall to uninstall it. 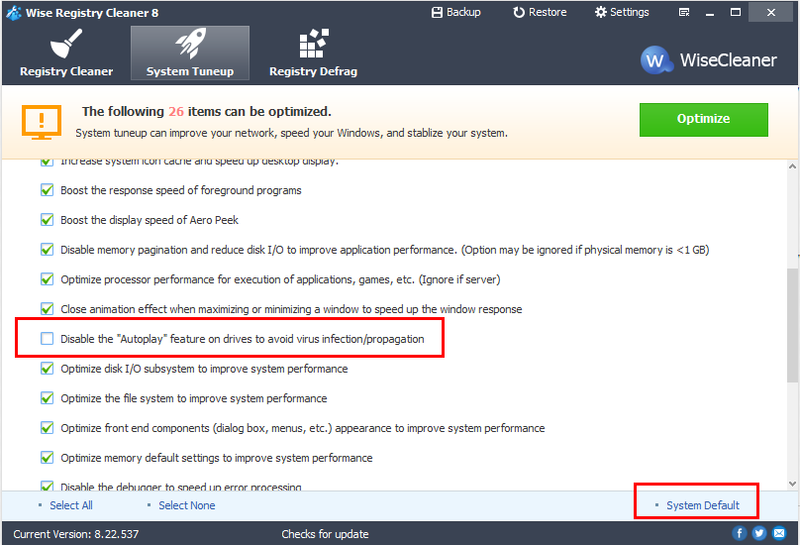 Does Wise Registry Cleaner can optimize my SSD? But it is dangerous, some virus/malwares can use this feature to run itself. 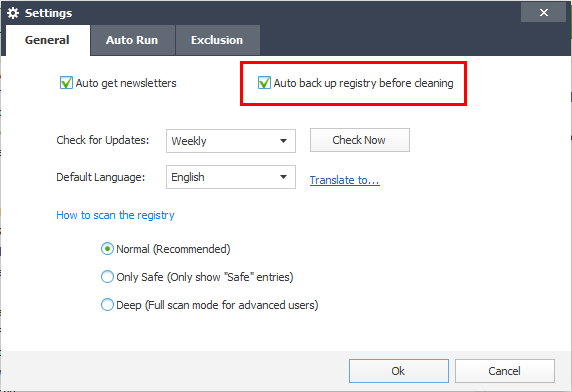 So, Wise Registry Cleaner/Wise Care 365 will disable the Autoplay feature for removable disk. If you really want to run this feature, you can restore default settings to enable it. 4, Deselect "Disable the ‘Autoplay’ feature on drives to avoid virus infection/propagation"
5, Click Optimize and reboot system.